It’s Easter Sunday! I really should have employed someone to write me some new egg puns, because every single one of those dates back to dinosaur times. You know, when Caveman Text was first invented. 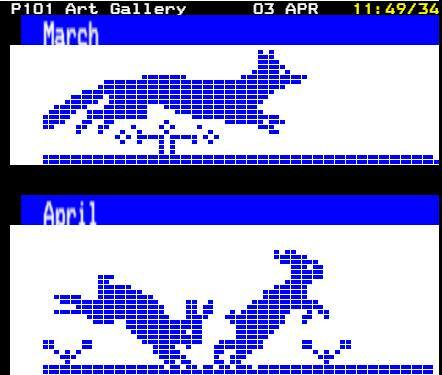 Anyway, in the spirit of the holiday, we’ve collected a few spring/Easter-related teletext pages for you to look at. Pages in this selection: Barney’s Bunch @ORACLE 1987, Barney Bubbles via Peter Kwan, Raquel Meyers, Dan Farrimond x3, ORACLE x2 and Teletext40. And I need the loo.